Imani's invite to HELP our YOUTH & TRANSFORM Violence into LOVE! Help change the lives of youth in a community that needs LOVE! 11/15- Know Thyself Dinner & Presentation Event! Wishing youGreat Joy & the Best of Health this Holiday Season! I pray you'll enjoy a Beautiful New Year of Wellness, Abundance and Pro$perity for 2014 and Beyond! I look forward to seeing you again somewhere during this Special Season of Celebrations! Wishing ALL the BEST to you and your family! Photos from Het Hru PARTY! Had an AWESOME Time at the Het Hru Party! As usual I felt like I was home with the Asar Auset family and truly loved performing around people who are consistent with their love & support! Shekem Ur Shekem holding his Imani Cd's! Along with other Fans from the Ausar Auset Community! More PHOTOS will be POSTED SOON! 11/9-Imani SINGS at Asar Auset Het Heru PARTY! Imani is SINGING later on tonight 11/9/13 at a Het Heru PARTY! FREE ADMISSION! (8PM-1AM) at Ausar Auset's NEW LOCATION! -305 Remsen Ave (corner of Clarkson) Bklyn, NY! Come & Enjoy GREAT Music, Food, Drinks & MORE! All are welcome to join the members of Ausar Auset in celebrating the awesome moon cycle of Het Heru with the spirit of Love, Beauty, Abundance, Pro$perity through Dance, Entertainment & Meriment! 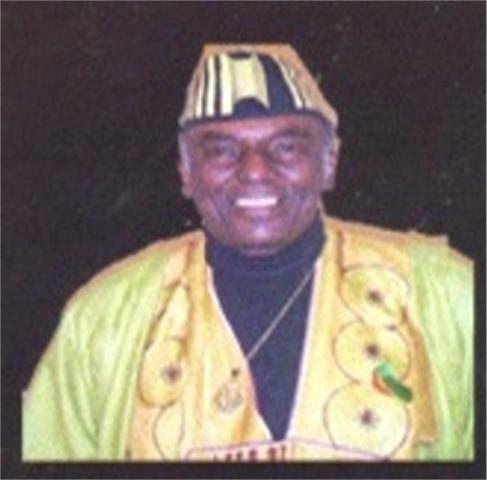 The colors are Green & Yellow for Het Heru but NOT required to dance & join in allll the FUN! GIVING THANKS for U- Greetings fr. Imani w. Queen Afua Video Message! Thank you for your Friendship, Business &/or Support! YOU are a PRECIOUS GEM! May the Blessings of Good Health, Good Times & Good Fortunes FILL your Day TODAY & Day's AHEAD! & will DO along the way! and in ALL THINGS "COUNT YOUR BLESSINGS"
- Quote from my great friend - the Awesome, Beautiful. the Super Talented, the Late James Stovall, Jr.
Have a HAPPY, HEALTHY time GIVING THANKS! 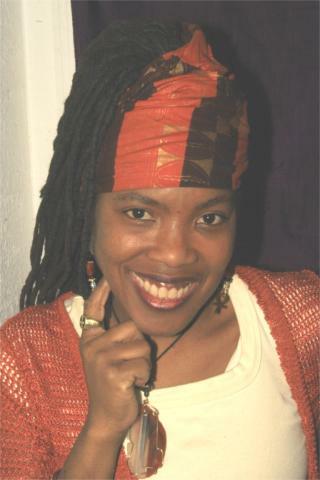 Queen Afua- (Holistic Practitioner and Author) be a Great Inspiration to those seek this!! CLICK on VIDEO Box or Link Below to View! HAPPY MOTHER's DAY with Imani SINGING Tribute! Imani SINGING Tribute- "WInd Beneath My Wings"
To the Mothers of Civilization! Goddesses of the Universe! Wombs of Life! To ALL the Ancestral Mothers & Their Spiritual Angelic Presence! To ALL the Grand, Great Grand & Greatest of Grand Mothers! To ALL the Foster Mothers! Adopted Mothers! To All the women who are or have been surrogate Mothers to Abused Childen, Orphans, even to us as Adults & Others in our Community & beyond! To the Men who stepped to the plate to be a Mother & Father, Father MOM's to a child or children who, for whatever reason(s) does not or did not have their birth Mother present! To the Women who don't have any Children of their own, but who have been or continue to be an inspiration to another one's life in their growth, development Mentally, Spiritually, Emotionally &/or Finacially! 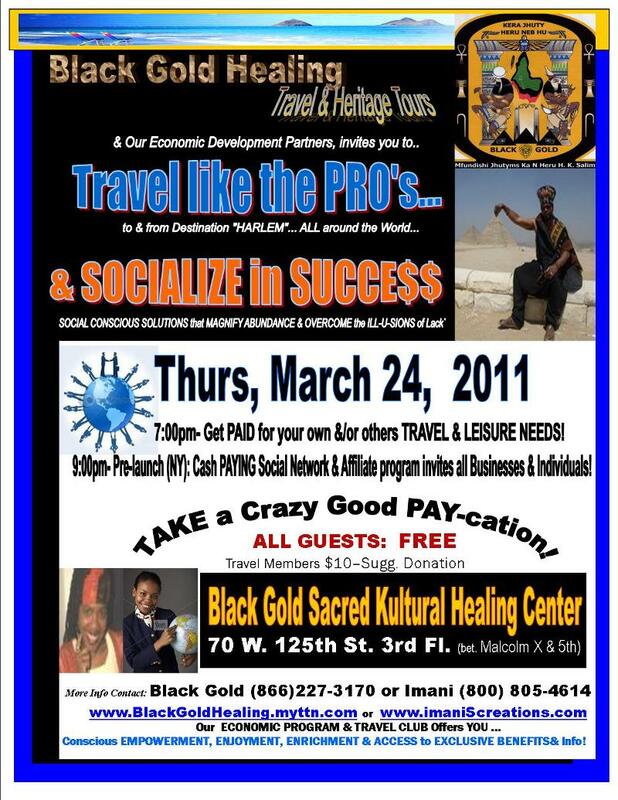 3.24- Economic Empowerment & Travel Event @ Black Gold! You are invited to attend a Special Event! RSVP not Required but is Appreciated! YOU are invited to RISE & "SPRING" into beautiful NEW POSSIBILITIES!... as you TRAVEL & SOCIALIZE!!! March 24, 2011- starts 7:00pm! 2/14/08 Come Celebrate BLACK LOVE!!! Celebrate LOVE your CREATOR, LOVE of YOURSELF, LOVE of your RELATIONSHIPS, LOVE of our CULTURE... LOVE of ALL that's GOOD in YOUR LIFE! While you DINE by CANDLELIGHT... DELIGHT in a sultry LOVE Serenade by songbird- IMANI SCOTT & Succulent POETRY from SPOKEN WORD artists! -COME WIN a FREE CRUISE for TWO to the BAHAMAS! & MORE! -First 10 guests will recieve a FREE "LOVE GEMSTONE" -Rose Quartz fr. AFRICA! -IMANi'S CREATIONS line of Products & perfect Gifts will be on SALE! -SAVE10% off ANY Gemstone Jewelry with HEARTS &/or GEMSTONES for LOVE ! The Holiday's are over and now is the time for the vacation you've been waiting for. So grab your favorite beach chair and join us at N.A.M.A as we show you how to plan the perfect lOW or NO COST Voyage/Vacations, while receiving the Rolls Royce treatments for your family, friends and of course yourself! Thursday night will be full of information to make 2008 the most prosperous year of your life. Please plan to join us and be sure to bring some friends!! !